Long Beach nestles on the edge of one of the Mauritius longest, widest and most beautiful natural beaches. 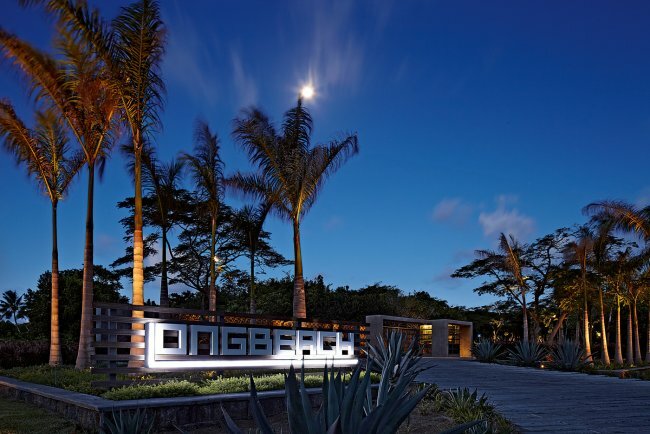 Contemporary and chic, the Long Beach has been built around the concept of Italian life. The lively central Square has an air of the Dolce Vita, the real heart of the hotel, surrounded by restaurants, bars and boutiques.The modern architecture, high ceilings, pastel colours, luxurious gardens, natural forms and traditional Mauritian building materials come together perfectly and melt into the sublime natural decor of this little slice of heaven on the Islands East Coast. 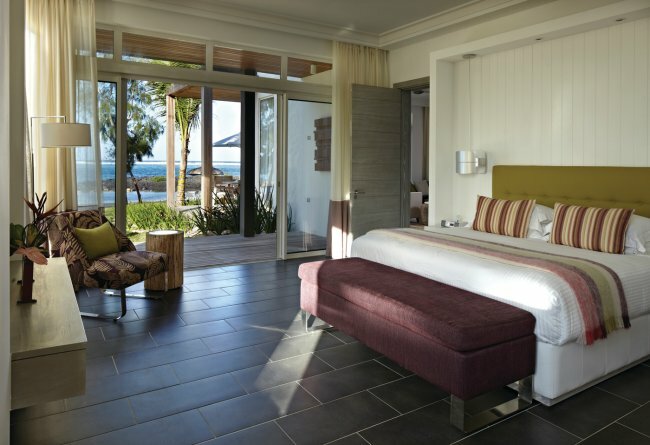 The hotels rooms have wonderful views over the crystal-clear waters of the lagoon, the coral reef and the Indian Ocean beyond. 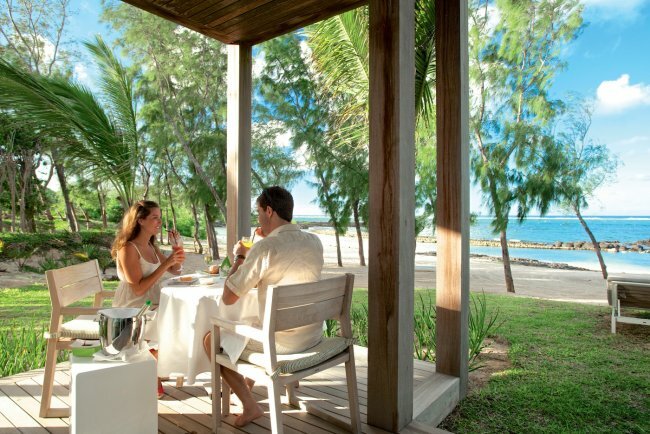 Fantastic last minute offer for one of our favourite resorts in Mauritius. Save over £1,000pp including a free board upgrade. 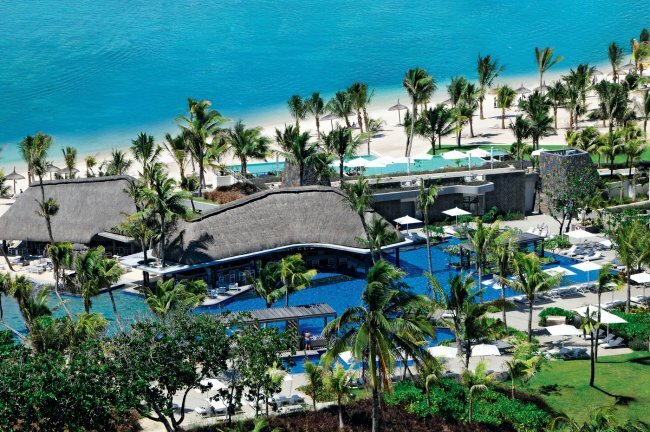 We’ve travelled throughout Mauritius, so if you would like to find out more or to book today – contact our expert team! Long Beach is run by the Sun Resorts group (think La Pirogue, Le Touessrok and Kanuhura) so you are in excellent hands. This is not an inexpensive hotel, but it is worth every penny. 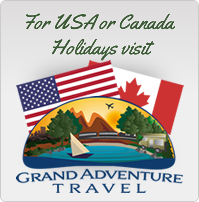 You need to book early regardless of what season because it is very sought after. 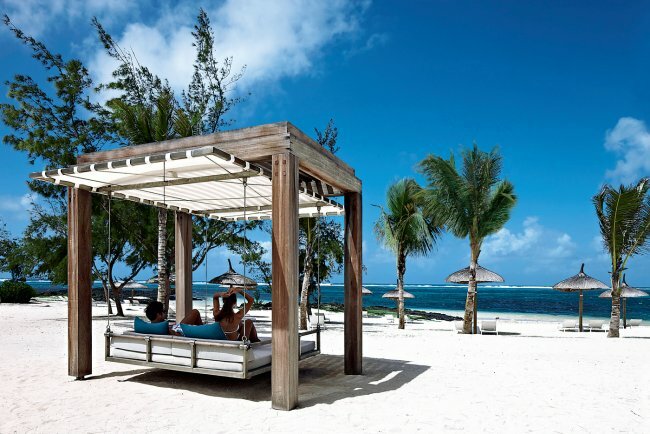 Long Beach is on the east coast of Mauritius approximately 1 hour from the airport. Long Beach has 255 rooms each with a view of the Indian Ocean. Rooms have contemporary design and refined furnishings are in perfect harmony with the apple green, coral red, white and ash grey hues of the decor. Rooms have a minibar and tea and coffee making facilities. Each bathroom has a shower, a bath as well as a separate WC. Standard Sea View Rooms – At 60sqm in size, these room offers sea views and can accommodate two adults and have an extra bed to accommodate a third adult or a child. Superior Beach Front Rooms – 63sqm in size with a stunning beach front location and can accommodate two adults and have an extra bed for a third adult or two children. Family Rooms 85sqm in size with a master bedroom with a King-Size bed for two adults, and a second separate room which has two sofa-beds which can accommodate up to three children. 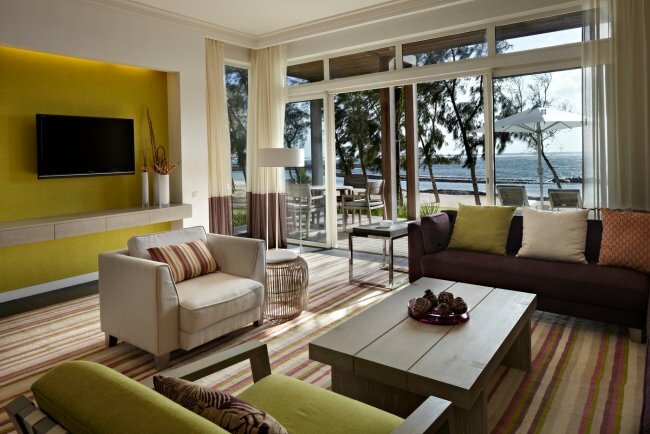 Beach-Front Deluxe Suite – 132sqm in size and located on the ground floor and ocean facing in a charming little creek. These suites can accommodate two adults and one of them has an extra bed for a third adult or a child. Le Marche – With seven cooking stations, this restaurant offers fresh and flavoursome cuisine to satisfy the tastes and expectations of discerning clientele. Sapori – Famous Michelin-starred Chef Moreno Cedroni contributed to the creation of this restaurant with the aim to produce a contemporary and flavourful Italian cuisine using high quality products. 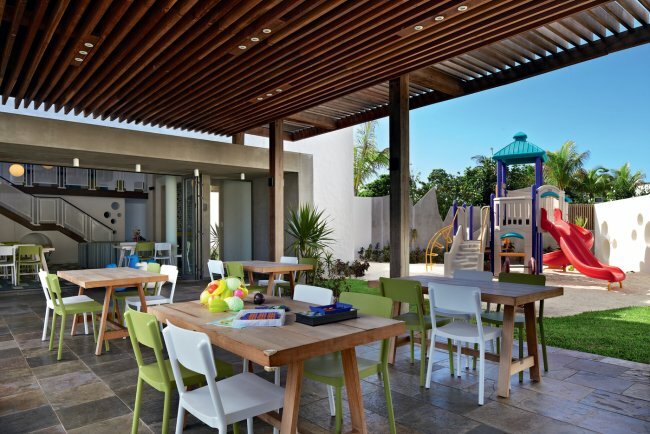 Foodies will be blown away by the flavours at Sapori that no one would expect to find at a restaurant in Mauritius. Hasu – A Japanese and an Italian Chef unite their talents and fusion flavours in order to present you with contemporary haute cuisine that is authentic, audacious and deliciously surprising. This Japanese restaurant has a lounge, a sushi bar, a grill, a central Yakitori counter as well as private and semi-private areas for a la carte dining. Chopsticks – In this Chinese restaurant which has a warm and relaxed atmosphere, Eastern and Western influences come together whilst respecting the balance of Asian cuisine. 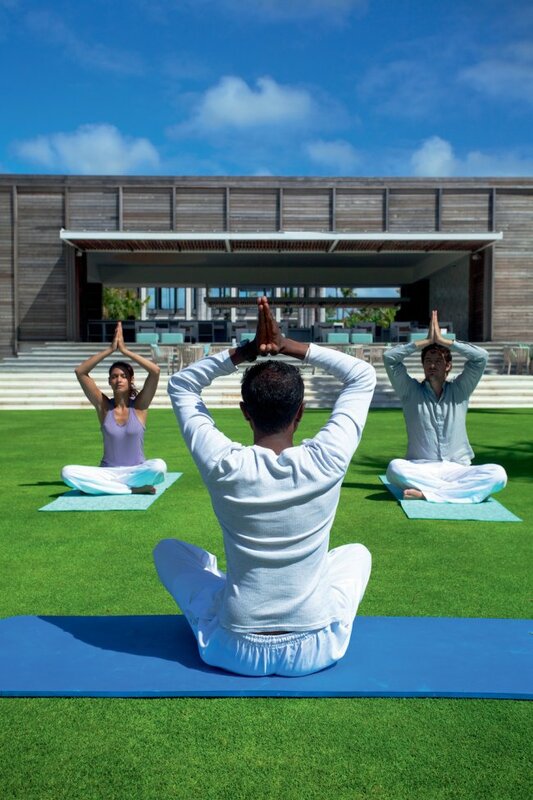 Tides – during the day, the focal points of hotel life are naturally the beach and pool. Tides becomes the place to be at the Long Beach, a cool beach restaurant that is more than excellent. Tides Bar – Buzzing with life during the day, Tides Bar has views over both the pool and the beach. Bombora Bar & Night Club – Adored by those who like to party in Mauritius, Bomboras modern design and state-of-the-art equipment make it stand out from the crowd. Dance to the beat of the music in this venue dedicated to electronic music. Beautiful white sand beach – 40metres wide and almost 700metres long! The main pool is 1400 square metres of heated pool, next to the beach, with comfortable loungers, is ideal for families. The second pool: 343 square metres of calm, for adults only, with loungers and daybeds. The blue hues of this infinity pool melt into those of the Indian Ocean beyond, sublime. The third pool: this pool is in the sports centre and is reserved for lane swimming.